My colleagues, and Ranking Members of the Transportation Committee, Rep. Devlin and Sen. Martin want you to know the true facts about the toll plans proposed by Governor Lamont and the Democrat majority party. They are taking a tour around the state to hold informational forums that discuss the plans and answer your questions. 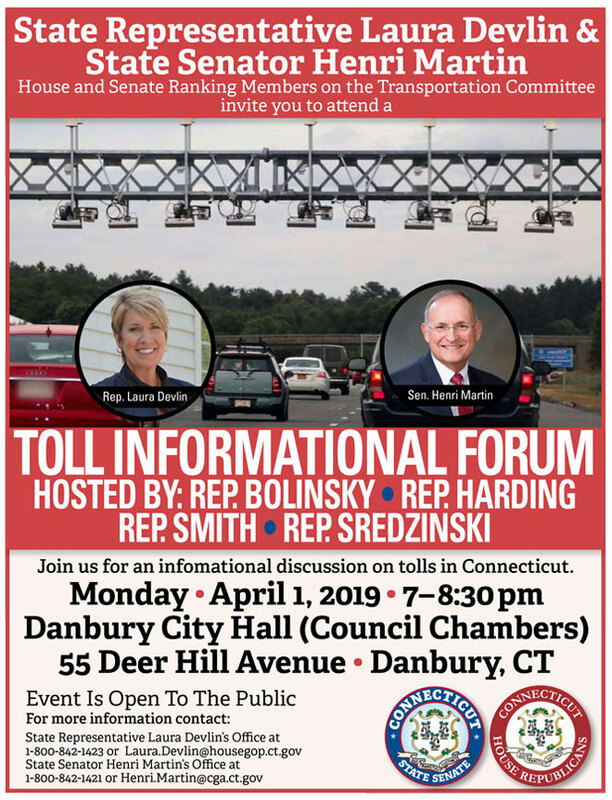 Reps. Bolinsky, Harding, Sredzinski and I have asked them to make a stop in Danbury to meet with all of you.